Ben Burke - Mowbray & Son, Inc.
Ben Burke graduated from Hope-Page High School in 2012. Following graduation, he attended Northland Community College in East Grand Forks, MN. 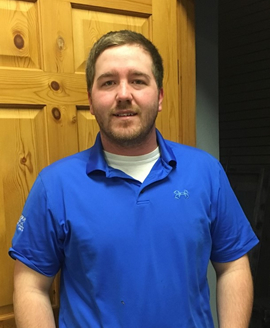 Ben joined the M & S Sheet Metal, Inc service department team in May of 2013 after receiving his certification in HVAC from Northland. He became a member of Sheet Metal Workers Local #10 and started the apprenticeship program. In December of 2017, Ben completed the Local #10 apprenticeship program and was promoted to Journeyman status. Ben has certifications in EPA Universal Refrigerant, Multi-stack, OSHA 10, First Aid, and CPR. Ben has worked on several contract projects for start-ups and owner’s training.